Have those ugly “spider” veins on your legs been bothering you? Are you embarrassed to wear shorts or skirts in public? If you are a little shy about your legs – NOW is the best time to come in for a treatment so that you can start to show off those legs!!! Getting rid of unwanted leg veins has never been easier. For over 150 years, a technique known as sclerotherapy has been utilized to treat unwanted spider and reticular veins on the body. 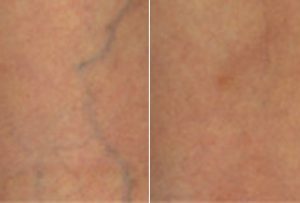 Sclerotherapy involves injecting sclerosing agents that are either a saltwater solution or a polidocanol (brand name Asclera®) solution into the offending vein. These solutions work by injuring the inside of the blood vessel which causes the blood vessel to clot over time and shrink. This blood vessel will then be replaced with your own tissue. 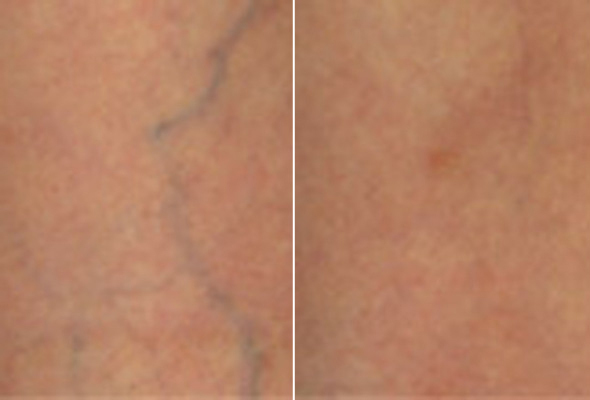 Injections of sclerosing agents are the “gold standard” and are superior to lasers for the treatment of spider veins. Sclerosing agents get to the “root” of the problem and actually stop “feeder veins” from causing more spider veins and/or larger varicose veins. However, laser skin treatment can be used as adjunctive therapy to sclerosing agents with great success. 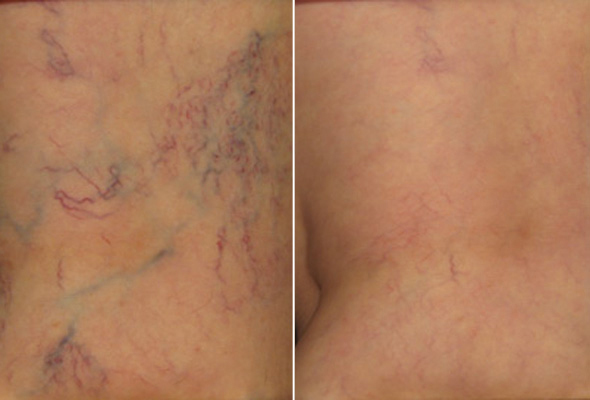 Multiple treatments of both sclerotherapy injections and lasers are needed to see dramatic improvement in spider veins. In addition, best results are seen with the use of a compression garment or stockings post-treatment. In about two weeks.We recommend 3-5 treatments every two weeks for best results. Individual results may vary and depends on genetics, activities, and many other factors. Depends on extent of the area being treated and the number of target veins. Full legs usually take one hour. Bruising can occur and may last up to two weeks.Extremely rare complications may include a change in skin color, redness, allergic reaction (although extremely rare with saltwater solutions), thrombophlebitis, venous thromboembolism, skin ulcerations, or visual disturbances. For more information on sclerotherapy and treatments to eliminate spider veins, or if you would like to schedule a consultation here at our practice, please contact Radiance Spa Medical Group.